Rakaja has a medicore base HP however he makes up of it by having a decent defence. Rakaja is one of the few natural born 3 star because of his decent healing skill. His third skill heals all allies by 10% multiplied by how many allies are currently alive. So let’s say he had 4 surviving allies then he will heal 40% to all. That would be very helpful especially in Dungeon. His first skill basically attacks the enemy 2 times and with 80 % chance @max skills of inflicting an attack speed debuff. Dont expect much damage on this skill because it will be very low. The second skill attacks the enemy with 2 fast punches, each punch having a 50% chance to stun the enemy for 1 turn. This skill can be used every 2 turns @max skills. Because of his multi hit attacks, he is a desirable monster to farm necropolis. If you to this path rune him with Violent/Revenge(HP/DEF/Accuracy) and he will be a beast. So where you can use Rakaja? 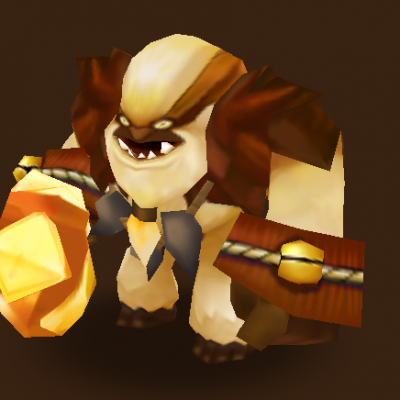 Rakaja can be used in the arena especially as defence, toa, faimon farming, giant,dragon, and necropolis dungeons. Attacks an enemy 2 times with fast punches. Each punch has a 50% chance to decrease the enemy's Attack Speed for 1 turn. Pros - Healing skill with high recovery.